If you are considering selling the condo you currently live in, there are some guidelines which can be helpful in this endeavor. Some points which need to be considered when selling, include looking at the current market for buying and selling condominiums. Studying the market goes hand in hand with doing a bit of pre-market advertising through word of mouth with family, friends and co-workers. Organization is an essential skill to have when it comes to selling any type of home. Organizing the paperwork involved with the sale will make it easy to access when needed. A labeled folder can be used to hold information related to past repairs made on the unit as well as any purchases for updated items. Warranties associated with the unit should also go into this folder. Organizing a condo for sale includes getting rid of any household or personal items you no longer wish to have. This will make your move easier and also reduce the amount of clutter viewed by interested buyers walking through the unit. Getting rid of clutter is the step taken before an overall spruce This is the process of thoroughly cleaning the unit, which can include painting over areas which have scratches or non-removable marks. Spending a little money on basic repairs will go a long way in attracting interested buyers. 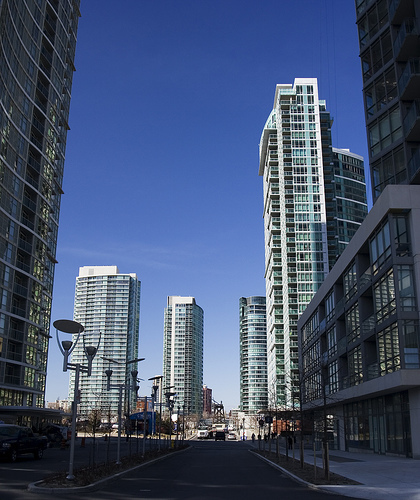 If basic electrical devices such as air conditioning units or heaters, are not in good operating condition, people will be less likely to invest in buying your condo. A well maintained condo should be able to pass a professional home inspection. It can also be beneficial to have this inspection conducted before you list your condo for sale. Creating a visually appealing atmosphere can also increase the interest prospective buyers have in your unit. This includes tidying up the exterior of the condo and adding homey touches like pots filled with fresh flowers. This outside sprucing is often referred to as curb appeal because it is designed to attract people from the perspective of the street. Creating visually attractive interior spaces will also increase people’s interest. Arrange the furniture so it compliments the room it is placed in. Spend a few dollars and have the carpets professionally cleaned to enhance their colors and textures. Adding fresh flowers or potted plants around the inside of the home adds visual appeal and makes the atmosphere feel cozy and welcoming. Once the condo has been prepared for sale, the next step is to list it. Marketing a condo will include playing up its good points as well as its location and any financing options available to interested buyers. The goal is to draw buyers who will be able to pay for the unit either in cash or by obtaining financial assistance. Attracting people who do not have the means to pay will result in having to list the property over again. Your home has probably been your personal space for many years, so you have emotional attachments to having lived in it. Selling a condo can mean turning off your emotions in order to look at the unit as a piece of real estate. The asking price should not be a reflection of your personal attachment to the unit. When using a real estate agent, it is best to let them show the home when you are gone. This will prevent you from adding personal opinions to the sale, which could cause buyers to turn away. Professionalism and impartiality are two key ingredients when it comes to closing a sale. Benjamin Sawyer is a well known blogger and SEO strategist. He likes to share hiw knowledge about content marketing and IM in general. Currently, he is a content writer for New York condominiums community.